Youngsters from Rosegrove Infant School in Burnley celebrated Chinese New Year in style with a culinary trip to Nelson and Colne College. The College’s Catering department hosted 60 Reception children in Farrington’s Restaurant in separate sittings, where they marked the occasion by making spring rolls and constructing traditional Chinese lanterns. During the celebrations for the Year of the Rooster, Level 2 Catering students and lecturer Nick Hatch then demonstrated cooking a customary Chinese meal of chicken, beansprouts, carrots, mooli and red pepper in a sizzling wok before the children tucked in to their delicious dish. 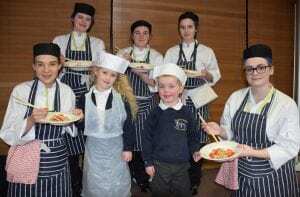 This was Rosegrove’s fifth visit to NCC’s award-winning Catering department and pupils once again left with full tummies and with smiles on their faces. 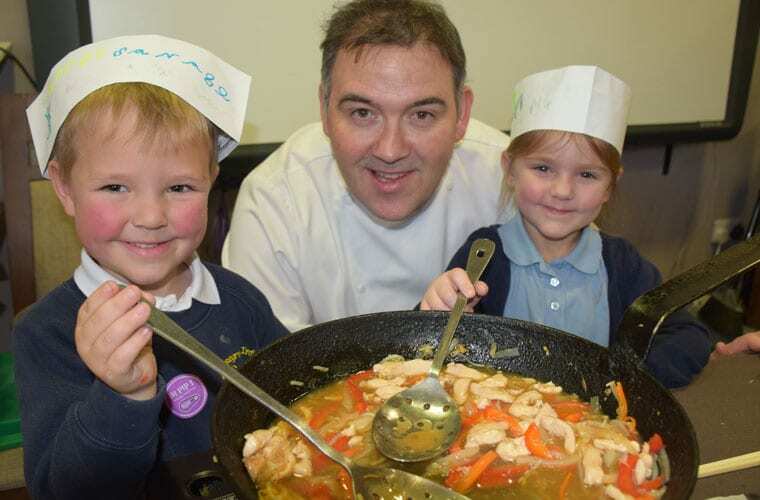 Catering and Hospitality Lecturer Nick Hatch said: “It was an absolute pleasure to host the children from Rosegrove again and it was great to be able to commemorate Chinese New Year together. They were extremely attentive and very well behaved throughout both sessions. “The youngsters also displayed real creative talent in making Chinese lanterns and the spring rolls were a success and passed the all-important taste test! NCC’s Catering department enjoyed a sparkling 2016, winning the Employer Engagement prize (Further Education) at the Educate North Awards after successfully forging partnerships with Seafood Pub Company, Burnley FC, and The Grand, in Clitheroe, to provide students with real life experience. It also won the Partnership with Industry category and was Highly Commended for Best Chef Lecturer at the Professional Association for Catering Education (PACE) Awards and was a finalist in the Skills Provider category of the Red Rose Awards.